Collider, are the symbols of successful integration between hardware and software systems. spanning throughout the extended enterprise. Defects, Tasks, and Resources including the need of integration with different legacy applications. from that of a hardware product, hence are addressed by ALM. 2. ALM’s core building blocks include a set of requirements, code files, test cases, defects,and released application code. 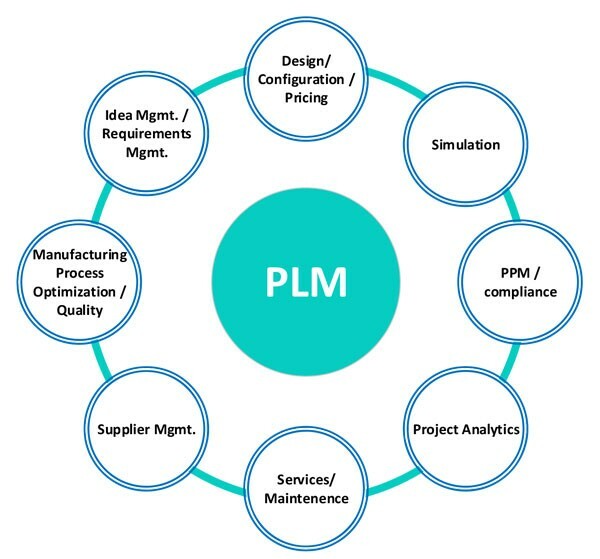 PLM on the other hand, comprises of different types of hardware or parts bound by ’Part of Relationship’ and more and more recently the electronic hardware with embedded software that defines most modern systems – be they automotive or defense or industrial. 3. 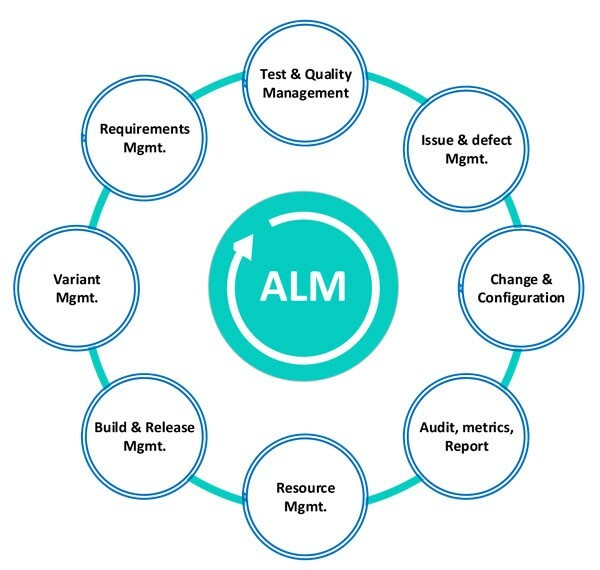 ALM focuses on the effectiveness and efficiency of delivering working components PLM’s focus encompasses objects ranging from the complete bill of materials till the product configuration in the chain. to make our lives comfortable.